The Chitimacha (/ˈtʃɪtᵻməˌʃɑː/, chid-im-uh-shah; or /tʃɪtᵻˈmɑːʃə/, chid-im-ah-shuh),also known as Chetimachan or the Sitimacha, are a Federally recognized tribe of Native Americans who live in the U.S. state of Louisiana, mainly on their reservation in St. Mary Parish near Charenton on Bayou Teche. They are the only indigenous people in the state who still control some of their original land, where they have long occupied areas of the Atchafalaya Basin, "one of the richest inland estuaries on the continent." In 2011 they numbered about 1100 people. The people historically spoke the Chitimacha language, a language isolate. The last two native speakers died in the 1930s. But the tribe has been working since the 1990s to revitalize the language, based on notes and recordings made by linguist Morris Swadesh about 1930. They have started immersion classes for children and adults.In 2008 they partnered with Rosetta Stone in a two-year effort to develop software to support learning the language. Each tribal household was given a copy, to support use of the language at home. The Chitmacha have used revenues from gaming to promote education and cultural preservation, founding a tribal museum, historic preservation office, and restoration of their language. The Chitimacha are one of four federally recognized tribes in the state. In addition, Louisiana recognizes several other tribes who do not have federal recognition. In the late 20th century, Louisiana had the "third-largest Native American population in the eastern United States." The Chitimacha Indians and their ancestors inhabited the Mississippi River Delta area of south central Louisiana for thousands of years before European encounter. Tradition asserts that the boundary of the territory of the Chitmacha was marked by four prominent trees. Archaeological finds suggest that the Chitimacha and their indigenous ancestors have been living in Louisiana for perhaps 6,000 years. Prior to that they migrated into the area from west of the Mississippi River. According to the Chitimacha, their name comes from the term Pantch Pinankanc, meaning ‘men altogether red,’ also meaning warrior. 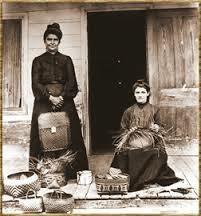 Like many Native American peoples, the Chitimacha had a matrilineal kinship system, in which property and descent passed through the female lines. The hereditary male chiefs, who governed until early in the 20th century, came from the maternal lines and were approved by female elders. Children were considered to belong to their mother's family and clan and took their status from her. Like other Native American tribes, the Chitimacha at times absorbed and acculturated other peoples. In addition, as Chitimacha women had relationships with European traders in the decades of more interaction, their mixed-race children were considered to belong to the mother's family and were acculturated as Chitimacha. The Chitimacha were divided into a strict class system of nobles and commoners. They had such a distinction that the two classes spoke different dialects. Intermarriage between the classes was forbidden. At the time of Columbus’ arrival in America, historians estimate the combined strength of the four Chitimacha groups was about 20,000. Although the Chitimacha had virtually no direct contact with Europeans for two more centuries, they suffered Eurasian infectious diseases contracted from other natives who had traded with them, such as measles, smallpox, and typhoid fever. Like other Native Americans, the Chitimacha had no immunity to these new diseases and suffered high fatalities in epidemics. The sub-tribes of the Chitimacha confederation occupied a total of about fifteen villages at the time of encounter with French explorers and colonists in the early 1700s. The French described the villages as self-governing groups. The Grand Chief represented the central governing authority of all the sub tribes, but they operated in a highly decentralized manner. Between the years 1706–18, the Chitimacha engaged in a long, bitter war with the French. With their superior firepower, the French nearly destroyed the eastern Chitimacha. Those who survived were resettled by the French authorities, away from the Gulf of Mexico and farther north along the Mississippi River, to the area where they live today. Disease caused more deaths than did warfare and ultimately resulted in dramatic social disruption and defeat of the people. The use of alcohol also took its toll, as they were highly vulnerable to it. By 1784, the combined numbers of the tribes had fallen to 180. In the early 1800s, a small group was absorbed by the Houma of Louisiana. In the late 18th century, the British expelled most of the French-speaking Acadians from eastern Canada after defeating France in the Seven Years' War and taking over their territories in North America east of the Mississippi River. Some Acadian refugees were resettled in Louisiana along the Mississippi River; their descendants became known as Cajuns. They also put pressure on the Chitimacha population because they took over their land. Eventually some Chitimacha married Acadians and gradually became acculturated to their community, including converting to Catholicism Others absorbed Europeans into Chitimacha society. Mixed-race children born to Chitimacha women were considered to belong to their mother's families and generally were raised within the indigenous culture. The 1900 federal census recorded six Chitimacha families with a total of 55 people, three of whom were classified as full-bloods. In 1910 there were 69 Chitimacha recorded; 19 of their children were students at the Carlisle Indian School in Pennsylvania, where they boarded full time along with other Native American students from a wide variety of tribes. The Indian boarding schools were considered a means to assimilate the children into mainstream United States culture. They disrupted transmission of native languages by forcing the children to use English at school and taking them away from their families for lengthy periods of time. The tribe was under economic pressure in the early 20th century, and sometimes members were forced to sell land because they could not afford taxes. Sarah Avery McIlhenney, a local benefactor whose family owned and operated the factory to manufacture Tabasco responded to a call for aid by Chitimacha women. She purchased their last 260 acres of land at a sheriff's sale in 1915; then transferred it to the tribe. They ceded the land to the federal government (Department of Interior) to be held in trust as a reservation for the tribe. McIlhenny also encouraged Federal recognition of the Chitimacha as a trib which the Department of Interior granted in 1917. The Chitimacha were the first tribe of indigenous people still living in Louisiana to gain federal recognition. Most Native Americans of the Southeast had been forcibly removed to Indian Territory west of the Mississippi River during the 1830 The tribe received some annuities and financial benefits as a result of formal recognition. But the population continued its decline and by 1930, the Chitimacha had a recorded total of 51 people. Since that early 20th-century low, the population has increased as the people have recovered. Men began to gain better employment by working in the Louisiana oil fields as drillers and foremen. In the early 21st century, the tribe reported it has more than 900 enrolled members. The 2000 census reported a resident population of 409 persons living on the Chitimacha Indian Reservation. Of these, 285 identified as solely of Native American ancestry. The reservation is located at 29°53′02″N 91°31′52″W in the northern part of the community of Charenton, in St. Mary Parish on Bayou Teche. This is in the Atchafalaya Basin, a rich estuary. The Chitimacha are the oly indigenous people in the state who still control some of their traditional lands. As with many Native American tribes, the Chitimacha took over their children's education and have established the Chitimacha Tribal School on the reservation; it is sponsored by the Bureau of Indian Affairs. 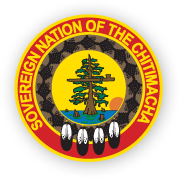 The Chitimacha re-established their government under the Indian Reorganization Act of 1934, considered President Franklin D. Roosevelt's Native American New Deal. The tribe successfully resisted efforts in the 1950s to terminate them as a tribe under federal policy of the time, which would have ended their relationship with the federal government. In 1971 they adopted a new written constitution. They have an elected representative government, with two-year terms for the five members of the Tribal Council. Three are elected from single-member districts and two members are elected at-large. Revised census roll of June 1959, of record at the Choctaw Indian Agency, Philadelphia, Mississippi. In addition, a prospective member must be able to document having at least one-sixteenth (1/16) degree Chitimacha Indian ancestry (equivalent to one great-great-grandparent). Children of one-sixteenth (1/16) degree or more Chitimacha Indian blood born to any enrolled member since 1971 (when the tribe adopted their Constitution) are entitled to membership. Les Chitimachas sont originaires de l'est du Texas. Ils ont ensuite migré dans la zone de Natchez, avant de s'établir dans leur patrie historique, la côte sud de la Louisiane française, où ils vécurent pendant 2 500 ans. À la fin des années 1600, ils rentrèrent en contact avec les Français, qui lançaient des raids sur leur territoire à la recherche d'esclaves. Lorsque la paix fut rétablie, en 1718, la population avait décliné de manière radicale, à cause de la guerre et des épidémies, et les survivants furent déplacés vers le Nord. Cent ans plus tard, l'arrivée de réfugiés acadiens sur leurs terres fit encore décroître la population chitimacha. 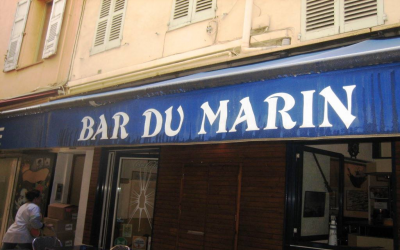 On impute cette baisse au mariage hors de la tribu et à l'acculturation, en particulier l'introduction du catholicisme, ainsi qu'au vol des terres par les nouveaux colons. En 1917, les dirigeants tribaux cédèrent ce qui restait du territoire chitimacha au gouvernement des États-Unis en échange d'avoir la création d'une réserve indienne située à Charenton, aux confins du bassin d'Atchafalaya. Vers 1930, il restait 51 Chitimachas. Cependant, ce nombre n'a pas cessé d'augmenter depuis, et le gouvernement a recensé récemment 720 Chitimachas. Environ 200 vivent encore sur la réserve de la paroisse de Sainte-Marie, où se situe l'école du Bureau des affaires indiennes. Le Conseil est en cours de négociations avec les États-Unis pour obtenir une compensation pour les expropriations passées. En 1987, fut créé le Parc d'État du lac Fausse Pointe qui s'étend sur une partie de leur territoire.